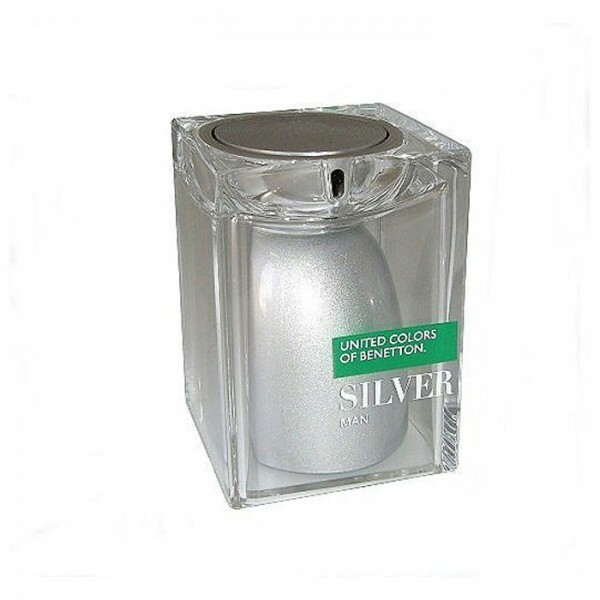 United Colors Of Benetton Silver Cologne by Benetton, Reminiscent of the great outdoors, this fragrance was released in 2008 . This warm and inviting scent opens with bergamot, ginger and pink grapefruit. The heart is filled with rose, geranium, magnolia, and elemi. This is all nestled on a base blended with amber, cedar wood, patchouli, and vetiver. Beli parfum original Betton United Colors Silver For Men sekarang, harga termurah di Indonesia!! Nikmati promo dan penawaran eklusif parfum original Benetton hanya di bakul parfum.